Employers and experts from across different industries are being given the opportunity to take an active role in shaping apprenticeships across England. The Institute for Apprenticeships, the new governmental body covering apprenticeship standards, has for the first time issued an open call for leaders from across industry to apply to become route panel members. Successful applicants will play an important role in shaping the requirements of apprenticeships in their sector. 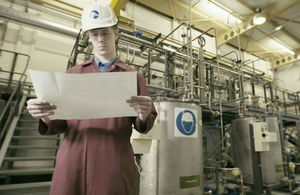 Route panels are employer-led groups formed of experts from within a particular industry sector. The Institute for Apprenticeships oversees 15 route panels in total, each covering different sectors such as agriculture, social care or legal and finance. Their aim is to review the quality of standards for apprenticeships and make sure they provide the right basis for future employment. We are taking important steps to ensure the quality of apprenticeships. They are crucial routes in helping young people reach their potential, and they provide excellent career development, as well as retraining opportunities later in life. Apprenticeships are playing an increasingly important role in British industry, and it is important that the right structures are in place to ensure they equip people with the right skills. This is a fantastic opportunity for employers and experts to bring their knowledge to the table and make their voices heard. For more information and to apply, the advert is open until 12pm on Friday, 4 August 2017 via Public Appointments on GOV.UK. The Institute for Apprenticeships launched on 1 April 2017 as an employer-led body ensuring high-quality apprenticeship standards and assessment plans in England. It is expected that from April 2018, this remit will expand to include responsibility for technical education.